We recently worked out with a new experiment by placing the AdSense vertical ad unit in the sidebar. The results are pretty fascinating and the CTR jumped up healthy. This new experiment has made me come out with few conclusions that i have listed below. As every body tends to use these AdSense units on the conventional places, known to be the highest CTR spots, the visitors are getting used to seeing them and easily avoid them thus effecting the CTR lethal. So the key always lies in testing out what works for you best over a period of time. Unfortunately, AdSense hasn't been much of a big player in our revenue due to the niche we lie in. Still, the new Ad units in the side bar has made me rethink my approach towards AdSense . What are we going to implement? 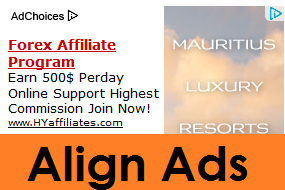 Notice the vertical ad units shown in the picture below that show two AdSense vertical ad units in the sidebar. We'll use simple HTML table code to align them in that particular way in the sidebar. Its pretty easy i must say. Depending upon the size of your sidebar, you can choose the dimensions of vertical Ad units. 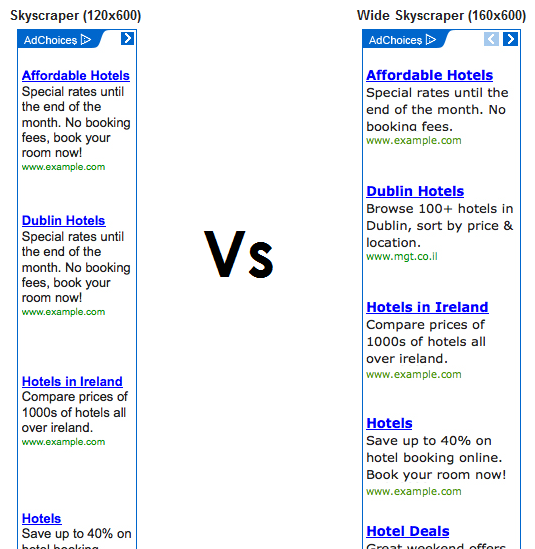 Google provides two vertical ad units, (160 x 600) and (120 x 600). Take a look at the pictures below. 1- Go to Blogger >> Design >> Add a new Gadget. 2- Now add the following code in it and hit Save. Simply place your AdSense codes for both of the Skyscrapper units on the places highlighted in the code above. You can also use our HTML Editor to first checkout the output of the code by testing it out first. Add Gap Between Two Ads? You can simply add a small padding to any of the two columns (that contains ads). In this case we would add padding-right attribute to the left ads so that the gap is generated towards its right side. Adjust the value '3' to play with the gap between ads. In case of any help, simply leave out your comment below and BeH community would love to reach back to you. Thanks buddies! How To Maximize AdSense Earnings With RSS Feeds Advertisements?